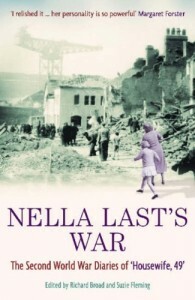 Nella Last recorded her time during World War II as part of project by the U.K. government. The book records her feelings, including the idea that praying for peace or Hitler’s death was pointless. Her argument was that she did not believe God needed convincing by her on what to do. Hard to argue. The life in the U.K. during World War II is fascinating to me. So is the time in Germany prior to the war. It would also be interesting in the U.S. but the war was more distant for most people. There was a time when the U.K. expected to be invaded and there was proof. Last writes about food shortages, here two boys, how she managed to keep up her spirit and contribute to the war through thrift shops and other means. She found talents and strengths during the war that she did not realize she had before the war. 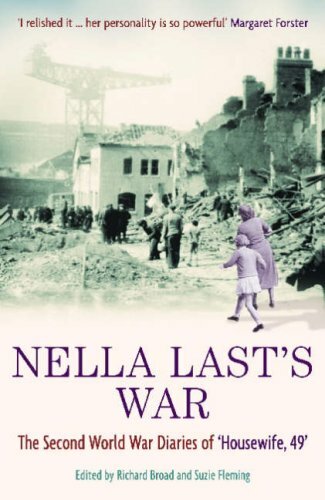 It really was an enjoyable book and I learned more about the lives of the families and people who lived with the uncertainty and fear of that war.